This time last week it was Eid! For those of you who aren’t familiar with it, it’s a religious celebration that all Muslims around the world celebrate. There’s a super cool story about why the day is so special and it also marks the end of the pilgrimage that some people go on. For me, this day is about enjoying it with family and eating lots of amazing food, and then probably eating some more! 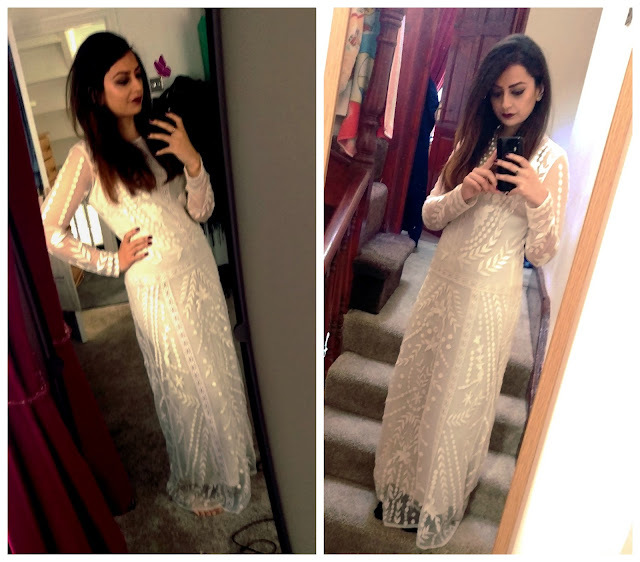 I try my hardest to dress in traditional Indian clothing when it comes to Eid. Mostly because it’s the only real chance I get to dress up in either a sari or a suit but this year I decided not to. Partly because my cousins and I had planned to go to Time Run and I didn’t see myself running around trying to solve clues hoping my sari wouldn’t fall off and partly because it was just easier to find something online. This year I was scrolling through Very and saw this beautiful Miss Selfridge maxi dress and fell in love. I was slightly worried because I have curves and I find Miss Selfridge usually cater for petite, small framed girls but after measuring myself up with a spirit level (don’t ask!) I decided to bite the bullet and order it. It came promptly (thanks Very) and was even prettier in person. 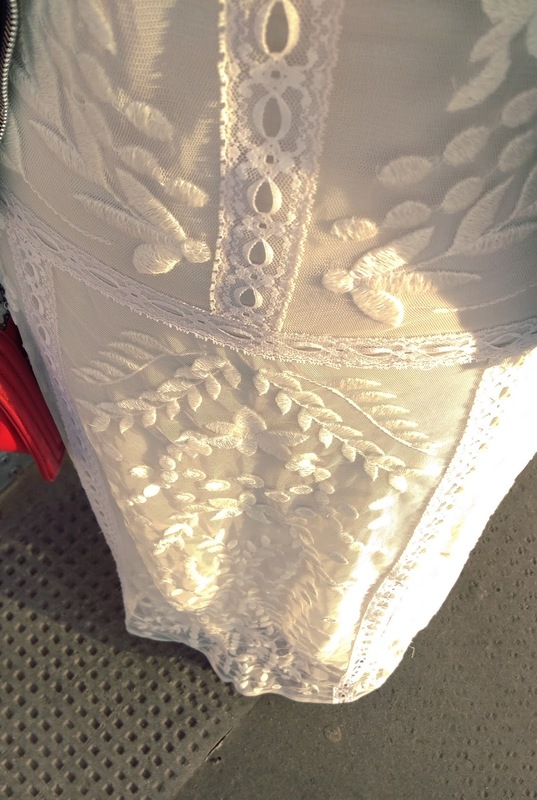 I was a little bit worried because after I had pressed buy, I thought I might be a little overdressed and look like I was a bride. Luckily once I had it on, it just looked elegant and really chic. I loved that the slip came with the dress and was floor length. I don’t really show my legs so it was such a relief not to be faffing around trying to find something to wear underneath. The dress also came with long sleeves – bonus! 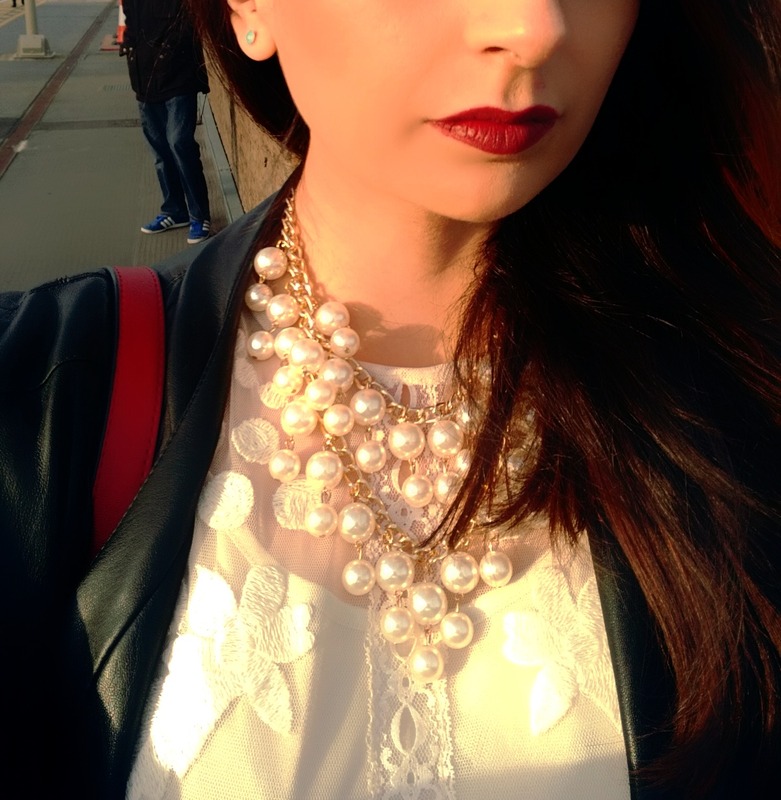 I teamed the dress up with a pearl necklace to stick with the theme of elegance. Up until I had put the dress on in the morning I wanted to look angelic and had even planned a neat braid I wanted to do with my hair but when I woke up in the morning I decided I wanted to vamp it up instead. So after all that, I opted for darker eyeshadows and MAC’s Diva for my lips. I always have trouble deciding on shoes to wear with maxi’s when it’s not sunny. I decided I’d go with a cleated sole lace up boot in Burgandy to match my lips and nails (Nails Inc – Saville row). What do you think of my Eid outfit?